The Divine Mercy Cenacle is group of parishioners who meet weekly for prayer, discussion on Scripture, the Catechism of the Catholic Church, and the writings of St. Maria Faustina. The revelations given to St. Faustina are excellent for spiritual growth and also gives a deeper understanding of our Merciful Lord. 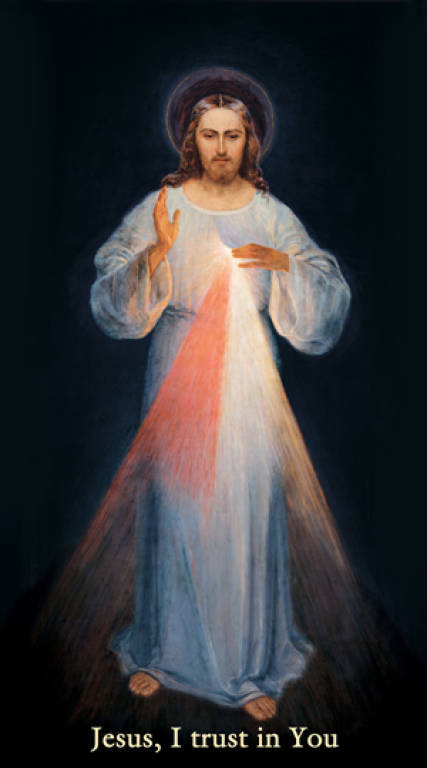 St. Faustina was a young uneducated nun in Krakow, Poland, during the 1930’s when she began receiving revelations from Jesus, who asked her to record this message of Divine Mercy-that His Mercy is greater than human sin. This “universal call to mercy” takes on a monumental importance in fulfilling the mandate of Jesus Christ to St. Faustina. Our Lord told her that “Mankind will not have peace until it turns with trust to My Mercy.” (Diary, 300) For more information please contact Dee at 918-609-5908.